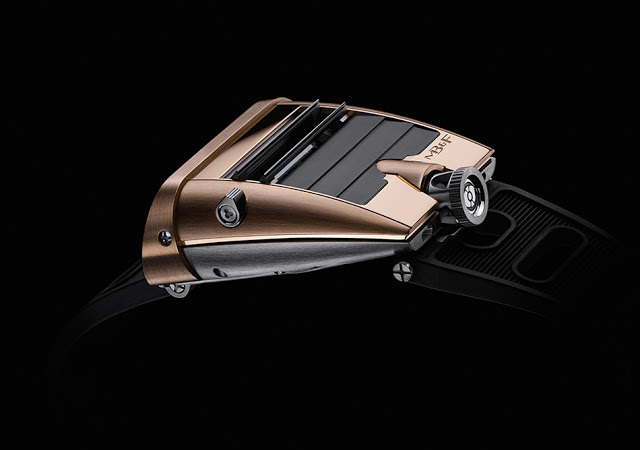 MB&F has just unveiled the HM5 RT. This driver’s style watch still has the same clever jump hour mechanism, but it’s now in brushed rose gold with a titanium movement chassis. 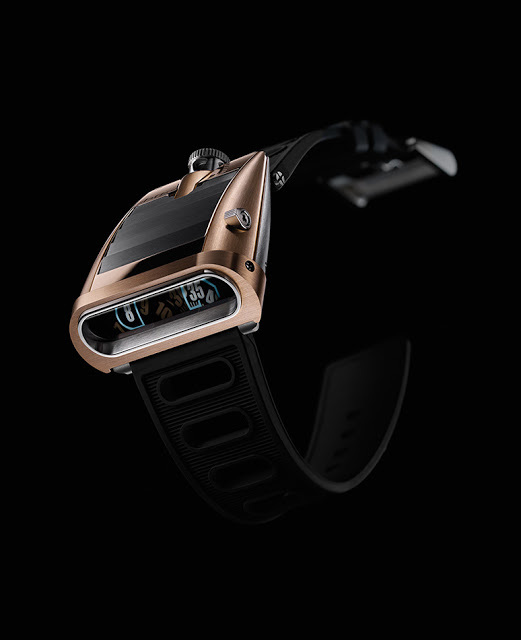 First launched a year ago in zirconium, the HM5 is now available as the HM5 RT in rose gold and titanium. It is virtually identical to the first HM5, save for the precious metal case. While the original look retro, this looks luxe. The case is still sleekly sloped like the back of a Lamborghini Miura, except it is now in a precious metal. 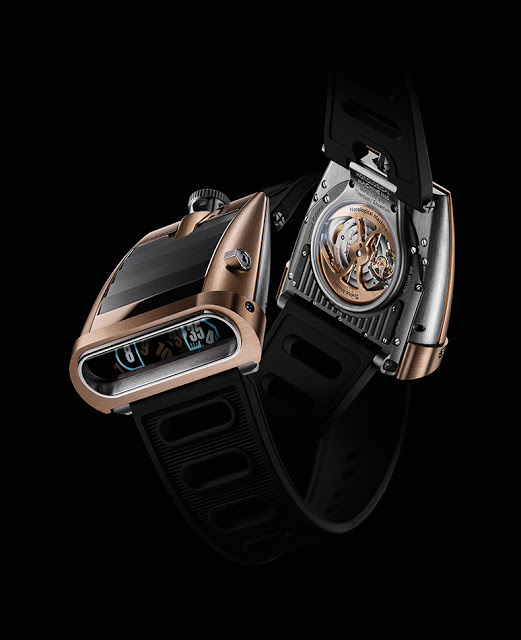 Because the rose gold case is significantly heavier than the original, the HM5 RT has a titanium chassis for the movement, instead of steel as used in the first version. 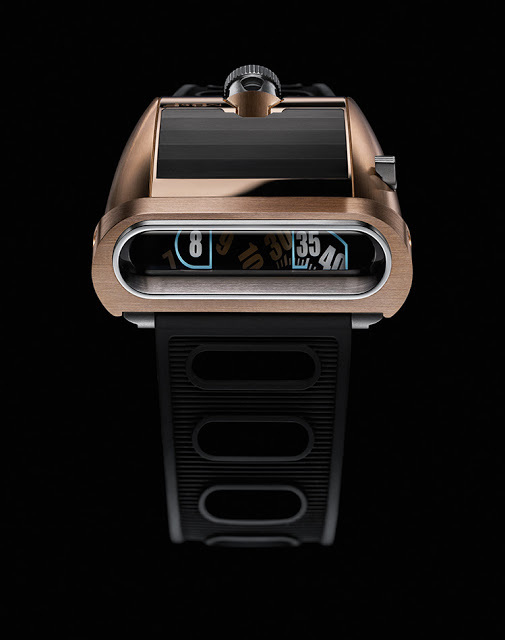 Inside is the same calibre as the HM5, developed by Jean-Francois Mojon and boasting a clever bidirectional jump-hour display, with the time displayed through a novel magnifying prism.